Jane Austen’s Pride and Prejudice has been brought into modern culture through being republished repeatedly by different companies. Each company approaches the publication of the novel differently, and most importantly considers the strength in a cover to advertise the novel. One publisher, Canterbury Classics, one of five branches in the Printers Row Publishing Group, focuses on increasing popularity with classic novels by selling them as “elegant leather bound editions,” and “novel journals"(Canterbury Classics). 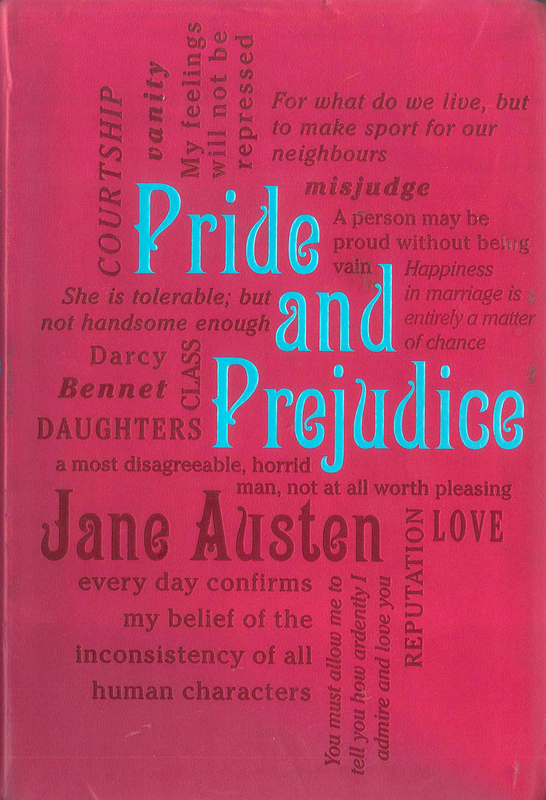 The cover they produced for Pride and Prejudice is pink, leather, and on the front has terms, names, and quotes from the novel. The back has the first two paragraphs of the novel engraved to give a taste to the reader selecting it off the shelf. The overall idea conveyed through these attributes it that the novel is like a diary. A diary is a subtle symbol that draws in the modern eye, and leaves people more curios about what story the book possesses. Canterbury Classics’ cover provides an appeal to the young adult population, and brings Austen into modern times, by making her novel appear as a text of simple, mysterious nature. When seeing this cover style it is clear that it ties into current themes in pop culture for young adults. In many films and television shows teenage, female characters express their true thoughts in the form of a diary. An obvious, recently popular show amongst that population was The Vampire Diaries, in which the main character speaks her diary words at the beginning of the show. The revealing of her inner thoughts perpetuates a love triangle that keeps young fans hooked (Steenbergen, 1). This concept of diary writing is appealing to the modern audience that wants to know a character’s inner thoughts, especially teenagers, in order to see depth beyond the actions of the character. This concept applies to Mr. Darcy, from Pride and Prejudice, who is secretive for majority of the novel about his true feelings. Making the cover a diary well reflects his inability to express himself outwardly, but suggests the complexity of his inner emotions. The secretive emotions a diary symbolizes reflects Austen’s concept for this novel, which is that the impression of a person is not accurate in knowing or understanding their true character and thoughts. A diary allows a person to place their thoughts and feelings in private writing instead of speaking them aloud. 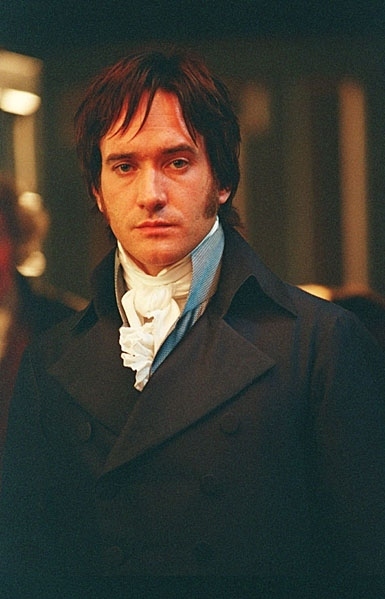 Darcy has trouble expressing himself to Elizabeth, but is fully honest with her through letter writing, for he admits it is an easier way of expressing his thoughts: “You may possibly wonder why all this was not told you last night; but I was not then master enough of myself to know what could or ought to be revealed,” (Austen, 166). He claims that writing after an event occurs gave him clarity, and helps him properly convey his thoughts to her. This is the exact purpose of a diary, the reflection and clarification of thoughts. Canterbury Classics’ cover style also provides a mystery to the readers, and suggests what is most important to look for in the novel, by placing words instead of images on the cover. Terms, quotes and names such as: Darcy, love, and “everyday confirms my belief of the inconsistency of all human characters,” tell the reader what to look for in the novel, and hint at the most significant aspects. This idea has a way of being mysterious and obvious all at the same time. It is mysterious in that a reader does not know what any of these words mean until reading the text, but also obvious because it lays out the groundwork for main characters and themes in the novel. This strategy gives simplicity to the mysterious nature of Austen’s novel, which is ideal for appealing a young, modern audience that desires escapism in the most uncomplicated way. This cover version feeds the young adult population with the ideas of mystery in a simple, easy to grasp method. By creating this cover Canterbury Classics has helped Austen’s novel adapt to the modern audience, and recreates her popularity, using the diary, a symbol prominent in pop culture, to capture attention. The diary serves the underlying theme of the novel, and the hinted text on the back and front provides the simple mystery to Pride and Prejudice. The novel appearing uncomplicated with this cover means more people would be appealed to it for fun instead of academic study, and therefore more copies will sell. Austen, Jane. Pride Ane Predjudice. Canterbury Classics, 2012. Steenbergen, Diana. “The Vampire Diaries Season 1 Review.” IGN, Ziff Davis, 21 May 2010, www.ign.com/articles/2010/05/21/the-vampire- diaries-season-1-review. “About Us.” Canterbury Classics, Printers Row Publishing Group, 2017, canterburyclassicsbooks.com/about-us/.